Two thousand thirteen is not generally a vintage I would recommend for red Burgundy neophytes. There are too many green, dry or otherwise undernourished wines. Some are a bit too tart to give much pleasure. Even the best wines are not especially user-friendly in the early going. But for long-time connoisseurs, this cool, late, difficult year is ripe with rewards and is endlessly intriguing. In contrast to the friendlier, fruitier 2014 vintage, 2013 was a year without a September miracle. Strict sorting of the fruit was essential to making good wines in 2013, with many producers eliminating grapes with less-than-healthy skins (from rot or oidium) and underripe, pink (rosé) berries. The harvest was extremely tricky as the need to proceed slowly in order to do a more careful selection, both in the vines and in the wineries, had to be balanced against the pressure to pick quickly due to deteriorating fruit. Estates across a large swath of the Côte de Beaune faced the added challenge of a major hailstorm on July 23, which cut production sharply, affected the ripening process, and could throw off the balance of the wines. As I wrote last year, the 2013 season began with cold, wet weather during late winter and much of the spring. An uncommonly rainy, cold May set the stage for oidium and mildew problems as well as an extremely late flowering. The vineyards were so muddy in April and May that growers could not get their tractors in and had to do their treatments by foot, wearing moon suits. Conditions were much better during the first half of June but the latest flowering since 1978 took place during the second half of the month—and even into early July—under mixed conditions, with cold, rainy weather drawing out the process for as much as three weeks. The result was significant coulure (shatter, or poor fruit set) and millerandage (shot berries, or “hens and chicks”). The stage was set for a small, very late harvest and inconsistent ripeness. Constant vineyard treatments were needed to protect the fruit against mildew and oidium, and on-and-off rainfall throughout the season often confounded the efforts of even the most conscientious growers. Ultimately, though, the well-aerated clusters and small berries helped to protect the fruit against rot. July and August brought better but frequently humid weather, with some rainy spells, so the threat of mildew and oidium was now a constant. The second half of July was quite warm, and the longest hot period of the season extended from July 21 through August 5, after which August temperatures turned more moderate through the end of the month and into early September. But a severe hailstorm on July 23 did major damage to many vineyards on the Côte de Beaune. Hardest hit was the area between Savigny-lès-Beaune and the northern part of Pommard, where some vineyards lost as much as 90% of their crop; but the Pernand side of the Corton hill, the rest of Pommard and much of Volnay also suffered losses. The second and third weeks of September were cool and overcast, with multiple rainy spells. Better conditions arrived after the 20th but did not last for long. On the Côte de Beaune, growers rushed to bring in their Chardonnay in late September as the grape skins were fragile and rot was spreading quickly. But very little Pinot was ripe by the end of the month: sugar levels in the grapes were still very low and acidity levels were high, as the ripening process had been affected by the hail (damage to the vines’ leaves had a deleterious effect on photosynthesis). Many estates that started picking during the first few days of October were interrupted by a washout of a weekend on October 5 and 6, after which temperatures turned sharply colder, which at least slowed the spread of rot. Some fruit was harvested in a rush in advance of the rainy weekend, before it was fully ripe, while much more came in directly after the weekend, before the vineyards had had a chance to dry out. There was another significant day of rainfall on October 9, after which the grapes still on the vines deteriorated more rapidly. By most accounts, the window for picking Pinot Noir with adequate phenolic ripeness, sound but not excessive acidity and reasonably healthy skins was very narrow in 2013. Although weather conditions were tricky in 2013, the growing season benefited from low yields and potentially long hang time. 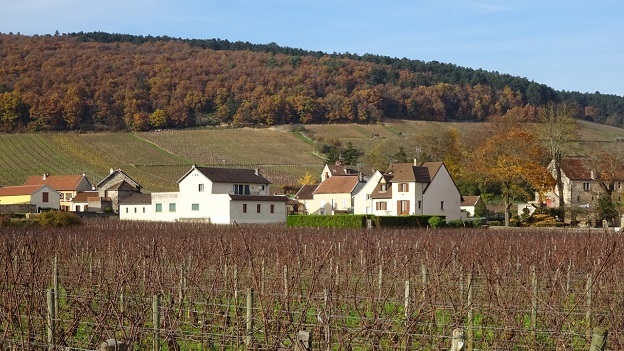 While the rule of thumb in Burgundy is that there are normally about 100 days between flowering and harvest, many growers reported that in 2013 it was more often 105 to 110. Even so, grape sugars were relatively low in 2013 due to the cool weather and lack of sustained sunshine. But phenolic maturity was often good—in fact, roughly half of the producers I visited last fall reported that the grape skins were slightly riper in 2013 than they had been in 2014—and the wines often show a density and a chewy impression of extract that were partly due to the longer growing season. Wines made from clean (i.e., carefully sorted) fruit typically display outstanding transparency to soil: their vibrant fruit components are complemented by savory soil tones, spices and minerals. And as levels of malic acidity were preserved in the grapes by cool weather in the weeks leading up to the harvest, the best wines of 2013 often exhibit invigorating treble notes (such as rose petal, blood orange, citrus peel, white pepper, cranberry and pomegranate) that are typically cooked out of the grapes in hot years. In less-favored sites, however, or where crop levels were too high, the wines can be tart or even bitter-edged. 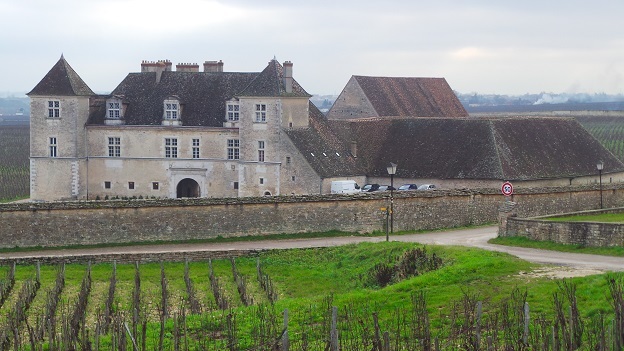 While many Côte de Beaune wines show incomplete flavor development or dry tannins owing to the late-July hailstorm, some are remarkably concentrated—and potentially long-lived—thanks to the infinitesimal crop levels. Of course, brutal selection was critical. The vintage’s successes possess enough mid-palate stuffing and flavor development to support their acid/tannin spines. In fact, with their outstanding inner-mouth tension and powerful minerality, the vintage’s winners can be quite exhilarating. Some of the best 2013s remind me of the brilliant 2010s in their energy and saline minerality. But note that the ’13s as a rule are not particularly full-bodied: with lowish alcohol levels the wines rarely carry much baby fat. Grape sugars were typically 11.5% to 12% and most growers chaptalized, although few admitted to bumping up octane levels by more than a full degree. (Several growers I visited, particularly those who picked late, claimed that their grape sugars reached as high as 13%!). Like 2014, 2013 is a vintage with very little surmaturité. But 2013 brought a colder maturity than ’14, and this quality will appeal to Burgundy lovers who prefer slight underripeness to slight overripeness, just as it appeals to so many Burgundy producers who believe that clear terroir expression requires sound acidity and inner-palate energy. The better examples of 2013 deliver an exciting balance of fruit and structure, concentrated mid-palate flavors that are silky as well as clearly delineated, and very suave, harmonious tannins to support graceful aging. Where phenolics were sufficiently ripe and the wines adequately concentrated and vibrant, I would expect them to gain in weight and complexity with bottle age. Indeed, a narrow majority of the producers I visited in November and December believe that their 2014s will give pleasure earlier but that the 2013s may outlast them. Still, wines that are too skinny or green or dry today are more likely to fall away in bottle than to gain in dimension. Best of all, these wines are alive—and somewhat unpredictable. Most of the 2013s I sampled for this article were tasted in the cellars from bottle in November and December. However, I also tasted another 100+ wines at home in New York in recent weeks. I was struck by how an entire set of wines could be dominated by fruits, flowers and spices one day, with savory soil tones accompanying on bass, while the next day saline minerality and underbrush came to the fore. As I say, 2013 is not a vintage for the Burgundy novice. 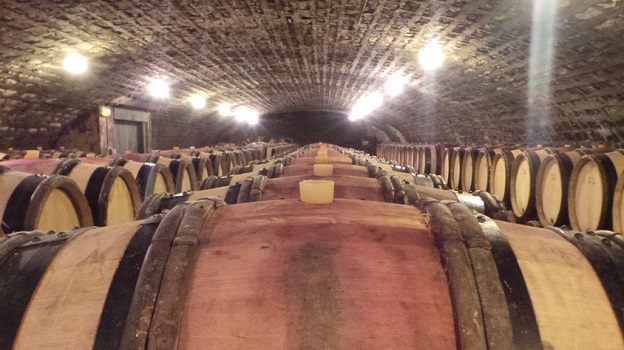 While red Burgundies have become scarce and very expensive owing to a series of short crops and to steady demand from around the world, many consumers who have heard the hype about the very warm, early 2015 harvest may be less likely to purchase 2013s and 2014s at this point. This may well turn out to be a mistake, especially if the 2015s turn out to be more vintage- than site-driven. So it’s still possible that there may be relative bargains to be found among the 2013s, if you know where to look.